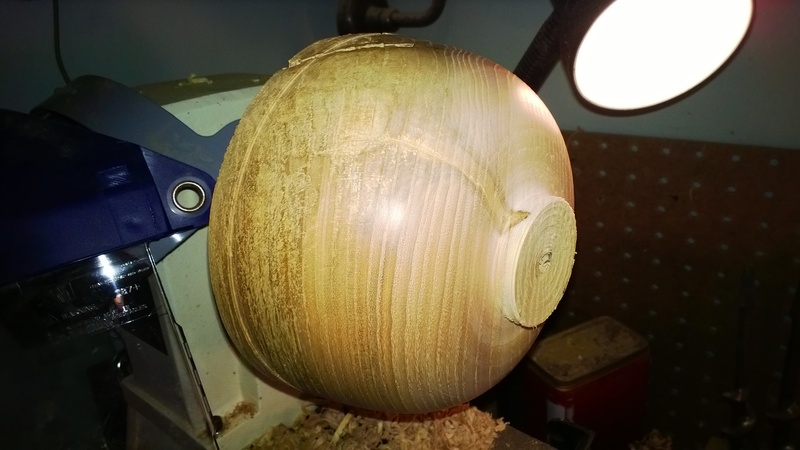 I stuck with the same basic form for bowl #3. The wood this time was a piece of green ash that I rescued from our woodpile. The tree was a dead green ash tree (killed by a grass fire several years ago) in the woodlot at the family farm where I grew up in eastern North Dakota. Here it is, unfinished, sanded to 320 grit. And here it is after several applications of mineral oil, a coat of carnauba/beeswax, and a good buffing. 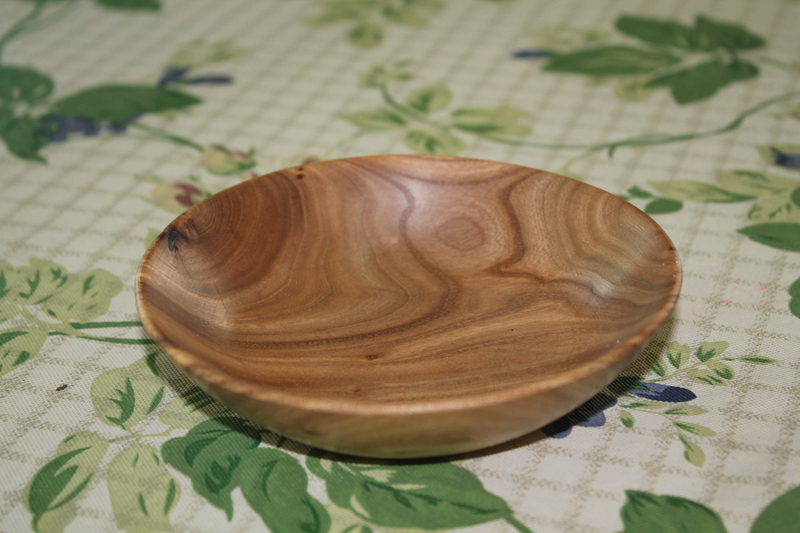 I’m not sure why it has such a deep brown color–ash sapwood is usually pale, and the heartwood is more of a red-brown. 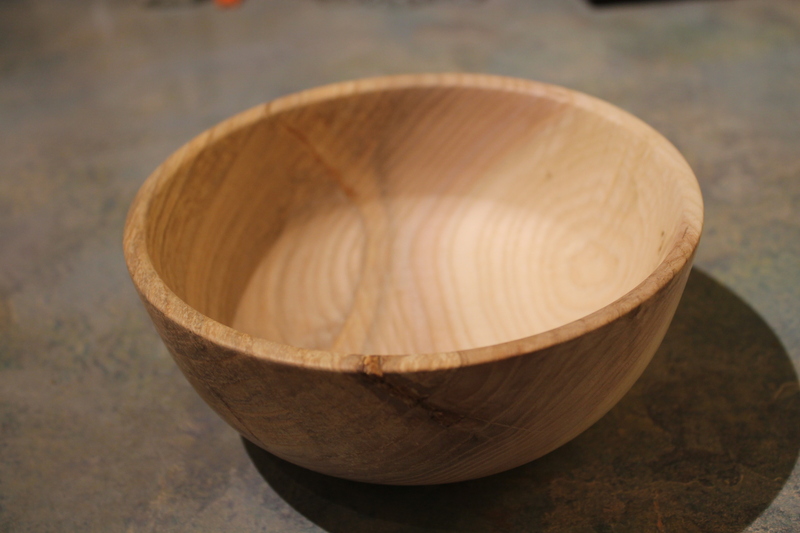 I started getting a bit more adventerous, so bowl #4 is a bit larger. 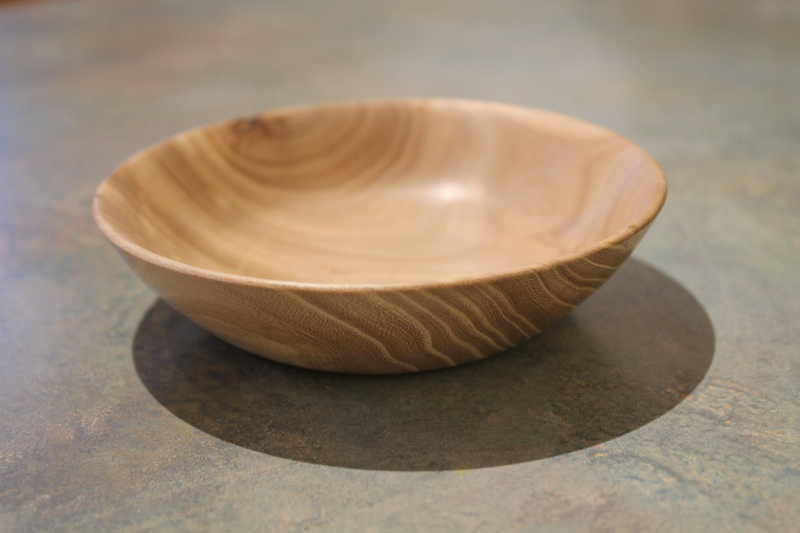 This is green ash again; this time from a large tree that was blown in a wind storm in 2011. There’s a bit of spalting in this piece, which you can see in this “in progress” picture. Here’s the final product, unfinished, sanded to 320 grit. I gave this one to my oldest daughter before I took a picture of it with the mineral oil and paste wax finish.